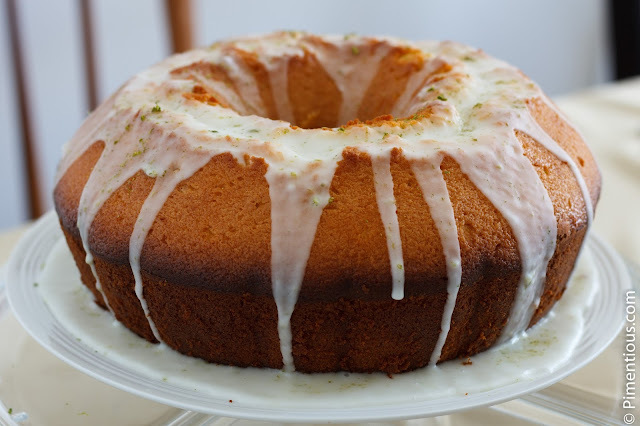 Today I am making Pound Cake laced with mango and pineapple rhum with lime glazing. It is simple to make and easy to eat, absolutely positively scrummy, and that tropical fruit taste is just perfect to give that extra zing of summer taste. Set aside to cool (I put the cake upside down on a glass in the middle of the bundt so it didn't get so compacted, but it's not obligatory. Other recipes only put the cake upside down on a rack). Now let's prepare the glaze, shall we? In a bowl, mix 2 cups of confectioner sugar, key lime juice and a part of the lime zest. 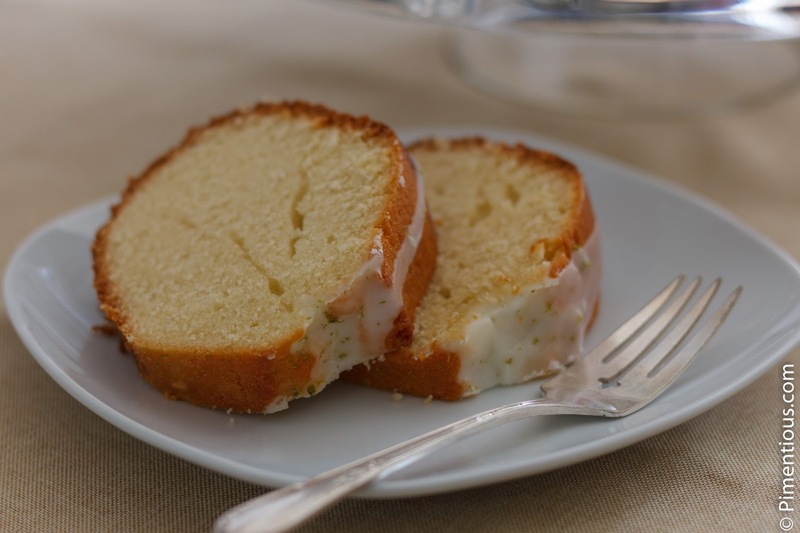 When the cake is completely cool, pour the lime zest glaze generously over the cake top and let it drizzle down to the sides. Sprinkle the glazed cake with the rest of the lime zest as decoration, et voila, it's done and ready to be served! PS: This recipe is actually very basic and versatile. you can adjust the flavor with any flavoring you like, like vanilla, lemon, or even Pandan.